» (W)WE Need a Hero: John Cena Is Gone. Who’s Up Next? Since WrestleMania, there has been much to admire about WWE: the Undertaker–Brock Lesnar epic; Seth Rollins establishing himself as this generation’s Shawn Michaels; Bray Wyatt and Roman Reigns Austin-vs.-Rock-ing each other to stardom; the Divas Revolution; and the unlikely ascent of Kevin Owens. But you can make the case that the most integral aspect of the past seven months for WWE wasn’t any of these — it was John Cena’s run as United States champion. Demoting him from the main-event scene allowed other wrestlers to blossom and elevated the U.S. belt — as long as Cena was involved — to semi-main-event status. More importantly, his “U.S. Open Challenge,” in which he put the title up against any opponent who answered the call on Raw, provided a desperately needed element of surprise and a foundation of solid wrestling to a weekly show that frequently feels monotonous. WWE should be applauded for acknowledging that its biggest star can be more effective when he performs a few steps left of the spotlight, but even more important was the way Cena’s U.S. championship run highlighted quality wrestling, which sometimes feels like a lost art in WWE. Cena has long been a better in-ring worker than fans have given him credit for. Over the past half-year, he has willfully transformed himself into one of the top wrestlers on the WWE roster. There was a time when a Cena brawl against JBL would look indistinguishable from a match against Umaga, but those days are gone. Now, facing Owens or Cesaro or Dolph Ziggler, Cena has opened up his move set and adapted his style to allow both him and his opponents to shine. There’s ample evidence that the traditional “WWE style” — a static slow dance that defined 90 percent of the company’s matches over the past decade-plus — is being cast into the dustbin of wrestling history. And Cena, ever the exemplar of WWE, is broadcasting the company’s new direction brilliantly. As he evolves, so does WWE, and as his place in WWE has shifted over the past year, the future of the company has started to emerge. Of course, despite holding a secondary title and despite wrestling at times like a hungry 20-year-old on the indie scene, Cena remains WWE’s biggest star. He opened Sunday’s Hell in a Cell pay-per-view — a slot on the card usually reserved for lesser attractions — but the crowd was still dominated by kids (and more than a few adults) dressed in fluorescent Cena gear. And after Sunday, the question of who flourishes in the spotlight Cena bravely relinquished feels more make-or-break than ever. Hell in a Cell was a big night for closure. Lesnar defeated the Undertaker to end their long-running feud. Reigns seemingly did the same for his with Wyatt. (Taker and Wyatt have launched into a mystical losers bracket story line that is already many times better than the one they had nine months ago.) Charlotte definitively beat Nikki Bella, and one imagines that Owens and the New Day will also take their titles into new story lines. But there’s no finality like a champ going out on his back — even if it’s only a temporary departure. In that opening match, Cena’s open challenge was answered by a returning Alberto Del Rio, and Del Rio won the match and the title. Del Rio’s return was a rare surprise in this Internet era of wrestling, when seemingly every planned twist gets spoiled. Though rumors about a Del Rio return had recently bubbled up, his fraught departure from the company and the litigation that followed made his return more unlikely than the average wrestler who parted ways with WWE. If we’re going to talk about rumors, though, it has to be acknowledged that it had long been whispered that Cena would be taking a break after Hell in a Cell, so while Del Rio was a surprise, many hard-core fans expected Cena to lose Sunday. Del Rio as U.S. champion — especially now that he’s aligned with the formerly xenophobic Zeb Colter under the banner of “MexAmerica” — is a solid choice. But he can’t fill Cena’s hightops. It’s unclear how long Cena’s walkabout will last, but while he’s gone, there’s a big hole to fill on the roster — and with Cena getting older, the most important title vacancy in WWE is that of “Face of the Company.” This is a golden age for cheerable heels — Wyatt, the New Day, Sasha Banks, Lesnar, Paige, Owens — but what WWE needs now is a full-time, Cena–style hero who has the support of the crowd and the trust of the company. That’s what makes Cena so special. If Cena didn’t exist, WWE would have invented him — hell, maybe that’s exactly what it did. Who will the company choose to take Cena’s spot over the next few months and into the future? Let me present the leading candidates. A year ago, Reigns was already slotted to be the hero of the post-Cena future. But he was also green, and when it became clear WWE had pegged him, fans revolted by booing his Royal Rumble win and possibly scuttling a plan to have him beat Lesnar at WrestleMania. (Instead, Rollins cashed in the Money in the Bank briefcase and stole the title.) Since then, WWE has been carefully rebuilding Reigns — putting him in position to become a better wrestler and talker and steadily burnishing his credentials among anti-Reigns fans.1 This has largely worked. Reigns has featured in a number of excellent matches — including one Match of the Year candidate on Raw — and he’s increasingly comfortable on the mic. Even if Reigns hasn’t reached Cena’s level yet, WWE was comfortable letting him cohost its Susan G. Komen tribute a few weeks back. Fans still give him a hard time, but that mostly comes off as criticism of WWE, not Reigns. When fans are given a reason to care — like on Monday’s near-flawless episode of Raw, in which Reigns emerged as the no. 1 contender to Rollins’s title — nobody minds Reigns winning. Clearly WWE wants him to be the guy, but that’s not news. Will the fans embrace his rise to the top? And will Reigns be up to the job? Those are questions that remain unanswered. I was almost inclined to leave Ziggler off this list, since he seems to have reached the dreaded push plateau where other stars’ careers have stagnated over the years. But every time I’m ready to lump him in with Junkyard Dog and Ricky Steamboat and call it a day, WWE drags me back in. On Monday’s Raw, Ziggler won a singles match — against Big E to compete in the Fatal 4-Way for the no. 1 contendership — he had no right winning. Big E is part of the ascendant New Day faction, and Ziggler’s new foil, Tyler Breeze, was sitting ringside (with Ziggler’s ex-girlfriend, Summer Rae), seemingly ready to cost him the match. I was shocked Dolph won, and I don’t think I was alone. WWE knows this, of course, and it knows Ziggler is, at the least, a dependable also-ran who fans are willing to believe in despite so much evidence that their hope will never be rewarded with a commensurate payoff. That sort of crowd investment is immensely valuable, though, and Ziggler is talented enough to take advantage if WWE ever gives him a chance. You know WWE has a glut of talent when fans can’t muster the energy to complain that Cesaro is getting the short shrift. He’s one of the best in-ring workers in the company, he’s got fans bringing homemade “Cesaro Section” signs to every event, and his Giant Swing unites the audience like they’re “Hell yeah”–ing to “Stone Cold” Steve Austin.2 He’s a darling of the wrestling Internet, and his popularity has been spreading over the past year. WWE seems to have found the right track for him — sort of a low-key variation on the Reigns rehabilitation campaign, in which Cesaro wrestles in good showcase matches and inches up the ladder at a pace steady enough to quiet WWE’s crankiest fans. 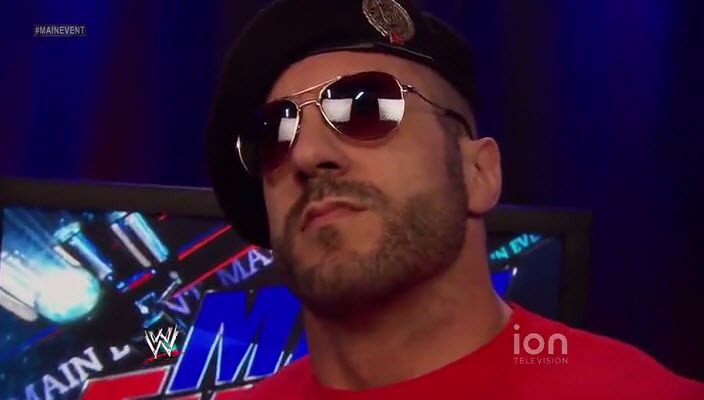 Plus, not pushing Cesaro too quickly prevents WWE from overexposing him and his shortcomings. Cena is an avowed fan of the Swiss Superman, so maybe WWE will give Cesaro his shot at the top. Or maybe Vince McMahon will decide he needs to go back to wearing the beret. Let’s face it, pro wrestling is still a male-dominated industry, and as much as fans appreciate seeing the Divas get a chance to shine, it’ll be difficult for any woman to achieve the kind of WWE stardom that Cena and Austin have before them. If there’s any woman who can do it, though, it’s Sasha Banks. She’s got the look, the character, and the extraordinary ring skills that made her two NXT title matches against Bayley instant classics. (If you haven’t seen them, watch them both right this instant.) Beyond that, however, she has that special something that all wrestlers dream of having — you can’t stop watching her when she’s onscreen, and you can’t stop wishing she were onscreen whenever she’s not. Fans have been chanting “We want Sasha!” during nearly every Divas segment over the past month, an indication that WWE is underutilizing her and that it has a singular talent on its hands. Turning her babyface is only a matter of time. If it can harness her star power, we might be seeing the birth of the first truly transcendent female wrestler since Wendi Richter and Moolah were headlining on MTV. It’s easy to say that Sasha could be Sable popular and Trish Stratus talented, but that misses the point. Sasha could be the next Rock. Owens isn’t a traditional pick for a WWE star, but since he got called up to the main roster — where he was put over by Cena — he’s had the crowd in the palm of his hand. He’s basically the anti-Reigns, with the experience and technical skills and talking ability that Reigns and his perfect physical form still haven’t mastered. (Their electric showdown Monday brought this into sharp focus.) Despite overcoming so many odds to make it this far, it’s unlikely Owens will be WWE’s top babyface anytime soon. But he could be the CM Punk to Reigns’s Cena, the meta fan hero whose alignment on the face/heel spectrum hardly matters. But I don’t want to underestimate Owens. 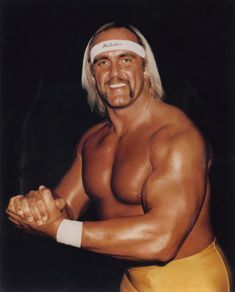 Hell, at the rate he’s selling T-shirts and making squash matches watchable, he could be the new Hulk Hogan. At WrestleMania, Bryan won the Intercontinental title, and he was slated to carry it to sidebar prominence in the same way Cena carried the U.S. championship. Then Bryan got hurt (again), and his prognosis since has been hazy. But Bryan is determined to get back into the ring, and Cena’s absence might provide WWE with the incentive to finally put Bryan back into action (health permitting, of course). 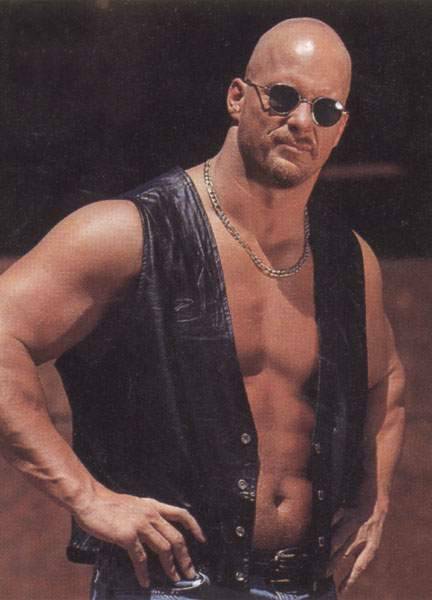 He’s the only wrestler of the current crop to approach Attitude Era levels of cultural crossover, with his “Yes!” chants permeating the sports world. And he’s one of the few wrestlers WWE has seen in ages who appeals equally to kids and smarks. Bryan is a wild card in this spot, but this is wrestling, and we’ll never stop fantasy-booking our idols until we have rock-solid proof their careers are over — and even then we keep fantasy-booking for another decade or two. I’m totally kidding. Punk’s not coming back. But that you didn’t just close your browser window proves my point. Even though his former Shield cohorts, Reigns and Rollins, seem to have lapped him in terms of stardom, there’s no denying that Ambrose possesses a rare quality they both lack: pure star power. Although Ambrose seems listless at times in his midcard feuds, his move set borders on corny, and some of his promos lean on prop comedy to an unsettling degree, there’s no denying that when he’s standing alone in the ring with a microphone and real purpose, Ambrose captivates the crowd with an Austin/Rock level of charisma. He’s got that rare blend of “men want to have a beer with him and women want to be with him” appeal. He’s also one of WWE’s standouts in terms of media and public relations — even though it’s out of line with his surly screen persona — and the pitchman role is one of the most integral parts of the Cena Machine. WWE seems complacent with Ambrose — it knows he’ll be there to step into the main event when it needs him, and that stifles him in the meantime. But the next four months will be key for Ambrose. There are rumors WWE is planning a Shield three-way match at WrestleMania, in which case Ambrose will be in a position to excel. There are also rumors his buddy-cop routine with Reigns is leading toward an Ambrose heel turn, in which case we can cross him off the Cena replacement list for the time being. Sure, he’s holding the NXT championship at the moment, but that didn’t stop Owens from showing up on Raw. Of all the wrestlers who have come through NXT, there’s not one — with the exception of Sasha — who matches Bálor’s upside. Sure, his downside is Evan Bourne, but his ceiling is nonexistent. He’s the top dog with or without a title, and he gets more cheers than boos even when he’s low-blowing an icon like the Undertaker. WWE has toyed with playing him as a babyface — see his feud with Rollins this summer — but it’s never committed. And, frankly, that’s the correct call. Lesnar exists free of artificial alliances and good-guy/bad-guy dichotomies. When he wrestles, he fights, and that sort of realism is what makes him special. He brings WWE a legitimacy it covets, and it’s hard to imagine a wrestling world without him, despite his light schedule. But those are all reasons Lesnar will never be Cena, and why WWE would never be foolish enough to put him in that position. Without Lesnar, WWE doesn’t have the legitimacy to mold a new generation of John Cenas. All the former Shieldsters have been subject to rumors of side-switching, and Rollins is no exception. Rollins possesses such strong natural babyface traits that it’s impressive how well he’s fared as a heel. Couple that with the simmering tension between Rollins and Triple H — prodded by Stephanie McMahon’s endless comparisons of the two — and Rollins’s babyface run feels as if it’s already begun. It hasn’t, though, not yet, so I’m DQing him on a technicality. He may be the babyface future, but right now he’s the heel standard. As long as we’re talking about face turns, though, let’s take a moment and reconsider Del Rio. Sure, he’s a bad guy now, but that doesn’t mean he’ll stay that way. WWE has long been in the hunt for a Spanish-speaking star to spearhead its expansion into Latin America, and Del Rio still has the potential to be that guy, even though his star never quite took off during his first run with the company. He’s got the backing of Vince McMahon, and we know that’s the most important element of the WWE starmaking machine. And if his hiatus has allowed Del Rio to ditch the sillier aspects of his character — the faux-richness and scarf waving — in favor of standard-model badassery, then there’s a chance he can really soar. He has the precision skills of a legacy star, and despite his uneven earlier run, the crowd always desperately wanted to cheer for him. Back then, WWE just never gave the fans a good enough reason. (For his part, Zeb Colter has a habit of bringing the crowd around to his side, too.) If WWE pulls the trigger on a face turn sooner rather than later, who knows? Alberto Del Rio might be the villain who vanquished John Cena from WWE (albeit temporarily), but he might also end up being the hero who takes his place. It’s as good a bet as any. There’s also my personal theory that every generation has a bald megastar.